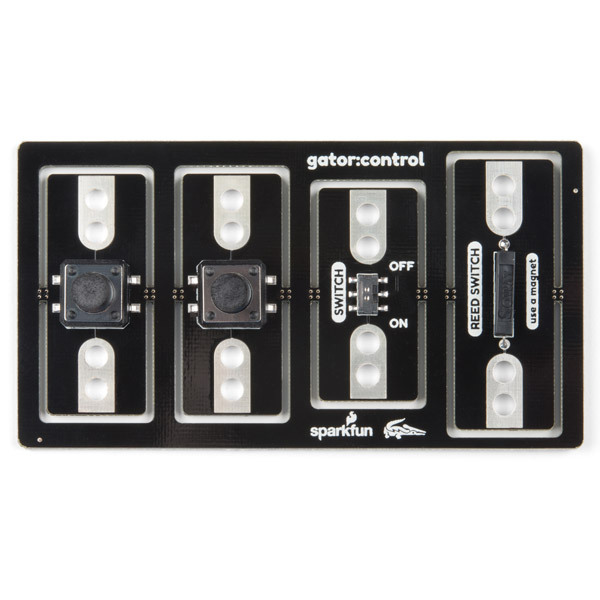 The SparkFun gator:control ProtoSnap is one of a series of gator-clippable accessories called gator:boards that have been created to directly interface with the micro:bit. The gator:control ProtoSnap offers a handful of ways to interact with projects using only gator-clip cables. 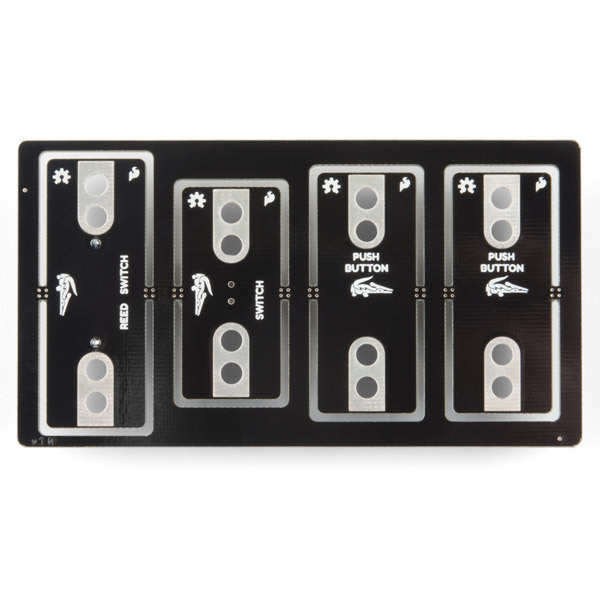 Each little board on this ProtoSnap can be kept as a whole while on the board or broken apart for individual use. 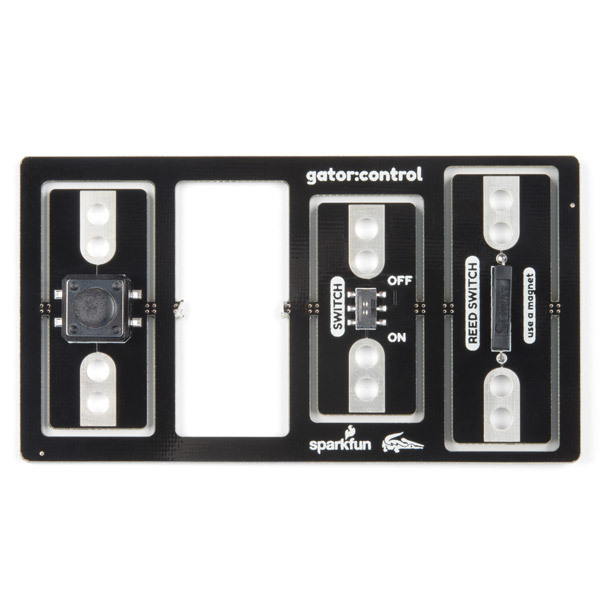 The gator:control ProtoSnap contains four boards in the main assembly including two buttons, an on/off slide switch and a reed switch, which is activated by a magnet. A button or switch is something that can act as both an open and closed circuit, and either one makes a great addition when looking to add control to project. Buttons or switches can be used as part of a circuit or as a digital input for micro:bit.